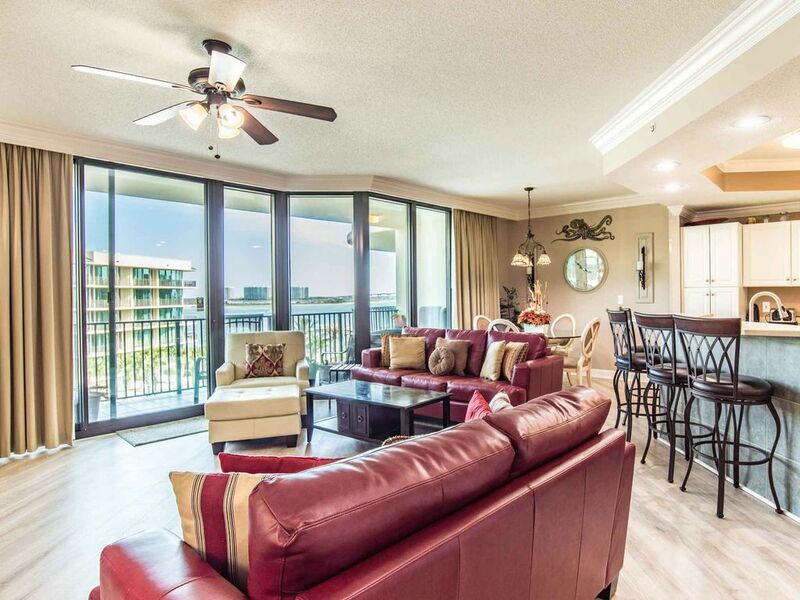 Condo mignon à Orange Beach! ~ Profitez de vues sur le golfe du Mexique depuis votre balcon! Venez sur la côte du golfe pour vos prochaines vacances. Orange Beach est l'endroit idéal pour s'évader et se rapprocher de la belle eau verte! Phoenix on the Bay n ° 1410 est un condo de deux chambres et deux salles de bain qui peut accueillir jusqu'à quatre personnes. Il dispose d'un lit king-size dans la chambre principale et d'un lit queen-size dans la deuxième chambre. Pendant votre séjour, vous disposerez d'un salon spacieux, d'une cuisine entièrement équipée et d'une connexion Wi-Fi gratuite. Amenez simplement votre famille et vos amis pour des vacances inoubliables! Alors que Southern vous fournit un stock initial de papier toilette, d’essuie-tout, de savon pour les mains et de sacs à ordures pour vous aider à traverser vos premières 24 heures, nous vous recommandons d’apporter les éléments suivants: condiments, épices, liquide vaisselle, savon à lessive, filtres à café et à café, serviettes de plage, parasol, jouets de plage, crème solaire et tout ce dont vous pourriez avoir besoin pour des vacances parfaites! Thank you for this feedback Kristin. We have addressed your concerns with the housekeeping team responsible for the property. We would have loved the opportunity to correct these issues while you were in town. We're happy to hear that you enjoyed your vacation and the Phoenix on the Bay resort. Hoping to see you again soon! Perfect fit for our softball trip to the area. Great location. Condo was set up great. Only recommendation would be that parking pass be included with cost of rental. We will be back when we play again down here. We love a good vacation and we are happy to know that you had a great time during your softball trip! Thank you for your review! We hope to see you again next year! Beautiful unit and great resort! Hi Leigh! Thank you for the review of the property! We are so glad to hear that you enjoyed your stay with us and had a wonderful time while on vacation! This complex has an incredible pool and great views, and we love to know that you were able to take advantage of them. Come back and see us again next year! Floors weren't cleaned. Not enough linens, needs more towels, washcloths. Probably would be beneficial to have a sofa sleeper as well. This also may affect people renting this particular propertyas well...My parents came to visit for a few hours on 1 of our vacation days and they said that their was no visitor parking available because occupancy was high. There were lots of parking spots open! But, then they told me that if they paid almost $40 for the day and the night, for which they werent staying, that they could park there so, it was very contradictory plus they made me and my husband pay $70 for our 2 vehicles to park and I feel like at least one parking space should come free with the rental. I've stayed here the past 8 years, and some of the things at Phoenix on the Bay and POB 2 are getting rediculous for their guests but, maybe you can get through to them. Thank you for your review, we value all feedback and strive to make sure each guest has a positive experience. Unfortunately, we have no control over the parking situation as this is a homeowner association issue. We do agree that the amount for parking has gone up, but again we have no control over this. We did offer to rectify your housekeeping issues and this was declined, we would have loved an opportunity to fix this. We have addressed with our housekeeping staff to ensure this does not happen going forward. The linens inside the rental were correct, this property had a total of 4 towels, 4 wash clothes, 2 hand towels per bathroom. The numbers are based on the amount of guest the property sleeps. We hope you will be back to visit again soon! The condo was nice, mostly clean, and comfortable. Property was well maintained. Lazy river and pool were great for kiddos. Suggestions: for a family of 4, you may want to bring extra towels unless you want to wash daily. There were not enough. There was also nothing to wash dishes with (brush or sponge). So bring one with you if you plan on cooking to make clean up easier. Floor needed a good mopping so may want to bring slippers for when you're around the condo. The rest seemed quite clean and I left this feedback for the owner so they will probably rectify that for the next guest by alerting the cleaning crew. Not all parents staying there watch their children well. We had issues with a group of children harassing and cussing at ours. I talked first to the parents. After the situation continuing, I reported the kids 3 times to the property. I didn't feel that the situation was handled very well by the facility so we chose not to go to pool or use facilities last few days for the comfort of our kids (ages 11 and 12). For that reason, we probably wouldn't stay again. Otherwise, the condo was nice, as described, and enjoyable. Thank You Hutchison Family for your review on your recent stay, we truly value your feedback. I am glad to hear that your overall stay was great and your family enjoyed the amenities. I have addressed the lack of cleanliness to the floors with our staff and I feel assured this will not happen again. We do leave a pink cloth inside each rental that it supposed to be used as a rag for cleaning dishes. I have reached out to the homeowner's association and they have assured me that, that kind of behavior will not be tolerated and they apologized for not addressing properly the first time. We hope to have you back to the Gulf Coast soon! The condo was SUPER clean and nicely furnished. If you have kiddos to entertain and don’t mind a little drive to the beach this is it! Great view of the bay bridge! Thank you for the positive review Christina. We take great pride in the care of our properties and guests so glad to hear it met your expectations. Love to have you back!